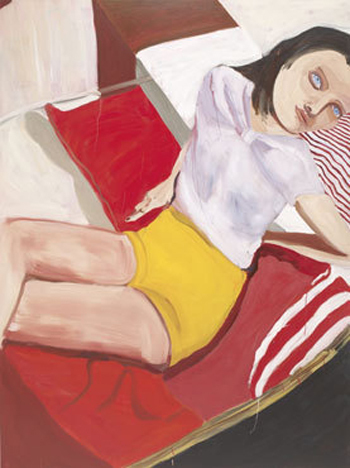 Chantal Joffe is well known for her expressive paintings of predominantly female figures. This latest exhibition will include an eclectic and wide-ranging group of subjects across two distinct bodies of new work. In the main gallery, Joffe continues to work on the very large scale perfectly suited to her painterly assault on the canvas. Characterised by a fluid style and deliberate distortion of scale and form, these oversized paintings possess a distinct psychological and emotional force.